The beach of Agios Dimitrios Kythnos is the southernmost of the island and is located in the homonymous tourist resort on the western side of the island. The beach is wide and sandy with clear waters and rock formations at its ends. Swimming will not trouble you so due to mild gradient of the sandy terrain and the ideal sloping level. Because it is neither shallow nor abruptly deep, it offers a gentle "splash" for the small children in the group, but also provides enjoyable swimming to others. Along the beach grow sufficient “Armiriki” trees able to offer the enjoyment of the shade to visitors and a pleasant environment for relaxing holidays. Many of the trees are formed in clusters and create ideal conditions even for a seaside "picnic" whether you arrive well organized or choose to buy some appetizers and refreshments from the shops of the beach. On the beach there are a few rooms and two taverns where visitors can taste the local cuisine, such as sfougato and strapatsada with vegetables from the surrounding vegetable gardens and local goat meat. 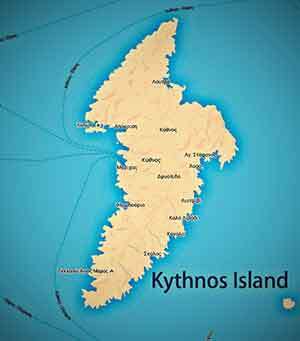 In the northern part of the bay lies the small village of Agios Dimitrios Kythnos. At the low hill bordering the southern part of the bay there is a path of about 300 meters where photo enthusiasts will capture the stunning scenery. The beach of Agios Dimitrios although remote, due to the existence of the adequate asphalt road, gathers several bathers especially during the month of August, and one could say that is full of life. 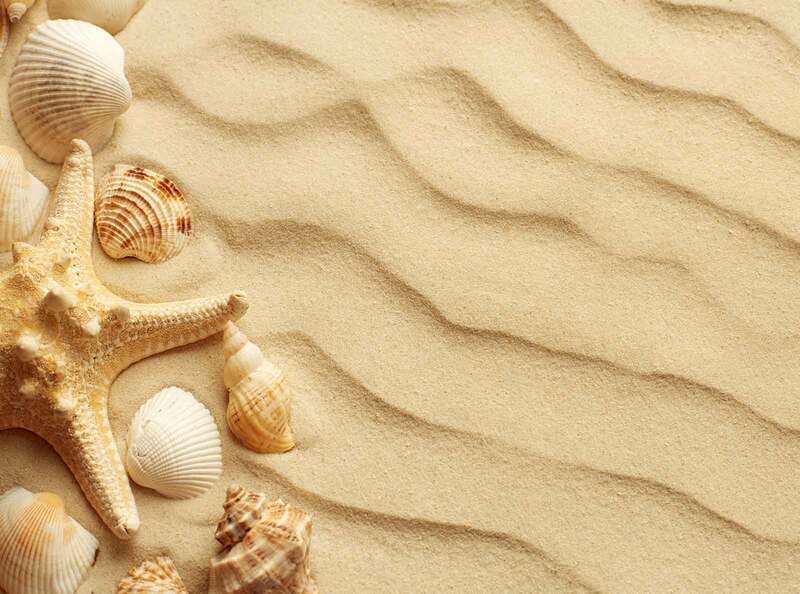 In August fragrant lilies bloom in the sand which provide a different twist aside the moored boats. Idyllic is also the image of the sunset as you survey the surrounding coast. There are many people who choose to make the circumnavigation of the island with their vessels, reaching the southernmost bay on the west side of the island, that of Agios Dimitrios. Rarely will one see moored boats, as the beach of Agios Dimitrios does not belong to anchor points on the island. On the beach you can drive from the port of Merichas following one of the two main axes of the island towards Dryopida and then crossing the hinterland lengthwise. This is a route with a distance of 17 km and takes about 40 minutes. If you start from the town heading south to Dryopida you will cover a distance of 19 km. Before arriving in the village of Agios Dimitrios on your right is the small beach of Aliki requiring a descent on a dirt road. Also if you continue south from the beach of Agios Dimitrios in an easterly direction you will find the deserted beach of Petrousa, without direct access by car.